Looking for a Luxury Limo Service or Car Service company in the Morris County area? If so, call the premier chauffeurs at Hamilton’s Limo and Car Service for the best ride. We offer all inclusive, affordable flat rates for all types of luxury vehicle with the best chauffeurs in New Jersey and New York. If you are arriving or departing from Morris County for a personal or business reason or you have a special day or night out planned, why not arrive in style in a luxury limo or sedan? From charter bus service to luxury sedans to stretch limos and luxury SUVs, Hamilton’s Limo and Car Service is the name to remember. Hamilton’s Limo and Car Service are experts in treating customers with respect and decency, so give our service representatives a call whenever you need to make a reservation. We are available for 24/7/365 to serve you. Our chauffeurs and representatives are carefully selected and trained so you can experience the height of luxury when you choose our Morris County Limo or Luxury Vehicle Service. Reserving your ride is easy, just call. Making a grand entrance to parties, weddings, or prom nights can be a truly wonderful experience for anyone. If you have a special day or night planned with a significant other, why not impress them with one of our luxury limos and accommodating chauffeurs? Your lady or man will remember this occasion for years when you plan it all out right. Whether you have a simple picnic or are going to and from your black-tie wedding in Morris County, a luxury limo is just what you need to be impressive. 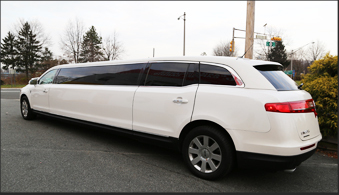 Call Hamilton’s Limo and Car Service for all your luxury rides whether it’s a stretch limo or a luxury SUV! At Hamilton’s Limo and Car Service, we understand how inconvenient and frustrating it can be to be upcharged at the end of your trip for some toll fee, gratuity, taxes or fuel charge after you’ve already planned out your budget for luxury transportation. That’s why we only have affordable, flat rates for all your Morris County transportation needs. Our rates are transparent to you the peace of mind you deserve. When we quote your affordable rate, it will include all gratuity, tolls, and taxes. And, you can count on it to be exactly the same at the end of your trip. At Hamilton’s Limo and Car Service, there are never surprise hidden fees. If you are looking for NJ Luxury Limo Service in Morris County, please call Hamilton’s Limo and Car Service at 862-520-7433 or complete our online request form.